Nearly 45 years later, Abdel Anderson’s greatness has never been questioned at Belleville High | Mike Lamberti, From Margate To Cleveland, And Back ! With a new basketball season on the horizon, it’s easy to reminisce about some of the glory days of the game at Belleville High. Without question, the best player I ever saw at BHS was Abdel Anderson, who starred for the Bellboys from 1972-1975. Abdel would become the first 1,000 point scorer at Belleville, when he eclipsed the mark in a game against Orange High, on Jan. 7, 1975, as Belleville won, 78-63. Abdel would finish with over 1,300 points in his 3-year high school varsity career. That was back before the 3-point shot was introduced to high school hoops, and was also in an era when freshmen didn’t play varsity basketball. College scouts from throughout the country would be at Belleville games back in the ’74-75 season. Home games were complete sell outs, even the afternoon weekday contests. 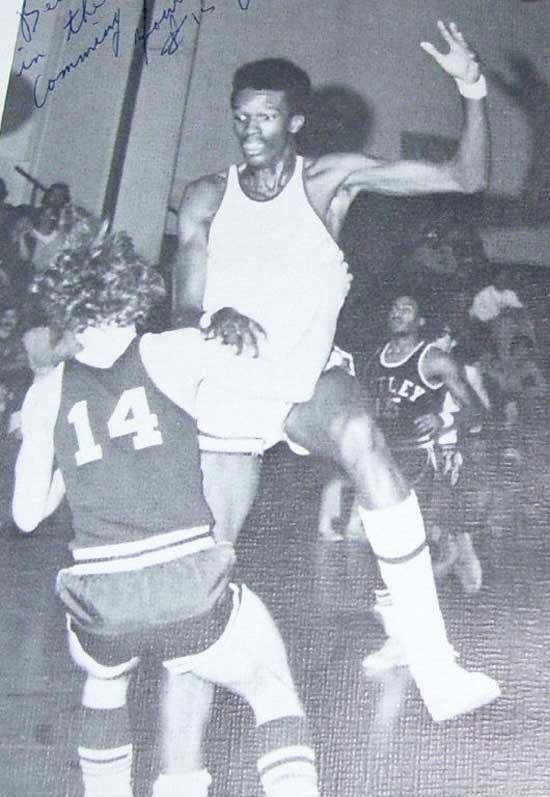 The 6’7″ Anderson opened that season on Dec. 13, 1974, leading the Bellboys to a 68-44 win over Garfield before a packed (and I mean packed) house in Belleville. Abdel was 16-for-17 shooting that night and 4-for-4 from the foul line for 36 points. He fouled out late in the game, to a standing ovation. Anywhere Abdel went that season, a crowd seemed to follow. And if you knew the typical Belleville kid back then, the average height was 5’7″ while Abdel stood a foot taller. He was the most popular man in the school, and despite the fame, he never let it go to his head. He’d be nice to everyone, especially when just about every kid just wanted to shake his hand and congratulate him on a nice game. Belleville accomplished a lot that season, including the first winning record in a decade, as head coach Dan Grasso’s team finished 13-10. The team also qualified for the Essex County Tournament, which back then was by invitation only, with just 16 teams in the tourney. 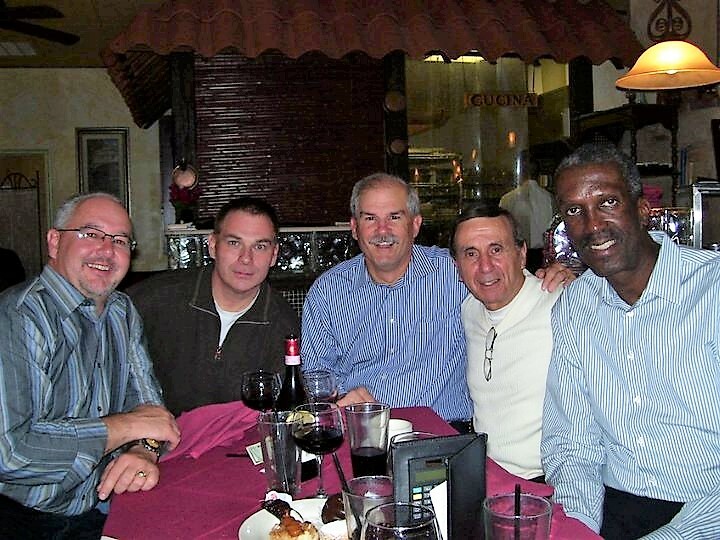 Abdel’s last game that season would be in the state tournament, on March 7, 1975. Belleville lost that night, to Montclair, in a state tournament game, at Linden High. While the season was completed, the accolades continued for quite some time. Anderson would receive All-American accolades a month later, and again, this was before All-American honors were awarded by numerous periodicals. After a lot of contemplating, Anderson chose Rutgers to continue his basketball career and a year later, he was a part of the Scarlet Knights squad which made the Final Four, en route to a 31-0 start. Rutgers lost in the national semifinals to Michigan that year and were 31-2. Abdel had a great career at Rutgers, where he’s still a part of the record books some 40 years later. He would go on to a successful professional career in the Union County prosecutors office. And finally, in 2011, Abdel’s number 15 was officially retired by Belleville High. So, as a new season begins, a look back at Abdel Anderson’s greatness, on and off the court. He was a great player and made Belleville again the talk of Basketball. When I was young I remember a Very Big player in Belleville playing in the Pit at Bloomfield. I think his name might have been Rush ?? Great article.